A specialist corporate associate lawyer, Melissa’s main focus is advising on the sales and purchases of businesses. She is heavily involved in the Cumbrian market and has a thorough understanding of the key aspects of transactions, meaning she can quickly assess and negotiate the best terms for clients; saving them time, money and unnecessary stress. Insurance, agribusiness, transport and health are some of the niche sectors in which Melissa has specific experience and expertise: she has advised on numerous transactions in these areas and has an in-depth understanding of the issues and obstacles, ensuring any potential problems can be proactively managed. Melissa’s business acumen and practical approach are two of the reasons that clients turn to her again and again for advice on further business acquisitions or disposals, as well as drafting and negotiating partnership agreements, shareholders’ agreements or terms and conditions of business. 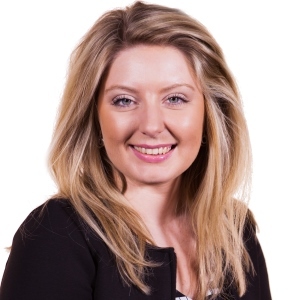 A Durham University graduate, Melissa completed her Legal Practice Course at Northumbria University before qualifying as a corporate & commercial solicitor in 2013 with a Law degree. She joined Burnetts in 2016. Although originally from West Cumbria, Melissa now lives in Carlisle with her husband Mark. She enjoys networking in the local business community and is a professional mentor for the Northumbria University. Outside of work, she enjoys travel and keeping fit to balance out her love of food.